Every year the National Literacy Trust conducts a survey among children and young people to gauge their interest and enjoyment in writing outside of school. The 2017/18 survey interviewed 47,786 UK school children aged 8-18 years, asking them questions about how often they write in their free time, what they write and how much they enjoy writing. The results are analysed by age, gender, region and socio-economic status and here is a summary of what they show. Girls aged 8-11 are more likely to enjoy writing. More girls than boys enjoy writing (57.4% versus 40.9%) and 8-11 year olds enjoy writing more than any other age group (68.5% compared with 46.5% of 11-14 year olds and 36% of 14-16’s). The highest level of writing enjoyment came from those living in the Greater London area (58.1%), with Yorkshire and Humberside recording the lowest levels (42.4%). Fewer children say they enjoy writing. Down from 50.7% in 2016, just under half (49.2%) said they enjoyed writing. Around a third (31.3%) said they enjoyed writing ‘quite a lot’ and 17.9% said they enjoyed it very much. With 17.3% saying they write daily outside of school, this figure has been falling since the survey first began in 2010 (27%). Frequency of writing is also down from the previous year when it was recorded at 18.8%. One third of children said they rarely or never write something that isn’t for school. Around a fifth of those who are writing every day outside of school are girls and echoing the wider results, are more likely to be aged 8-11 and live in Greater London. The majority of those surveyed said they write texts or instant messages, while 4 in 10 write stories and just over a third write song lyrics. A fifth of young people also said they write blogs. When it comes to attitudes towards writing, around 2 in 5 children agree with the statement ‘I only write when I have to’, with around half admitting they have trouble deciding what to write, a fifth finding writing difficult and 3 in 10 struggling with spelling and punctuation. At the same time, three quarters agree writing will help them to learn and the more they write, the better at it they will be. The good news is, writing is becoming cooler! In 2010, just over a quarter (27.5%) agreed writing is cool, whereas in the 2017/18 survey, this figure was at 34%. This has been an increasing trend, so perhaps if we can address the issues of children struggling with spelling, punctuation etc. and with what to write, we can pave the way for writing becoming a more acceptable pastime that young people continue to enjoy well into their teens. Designed to make writing fun, the children who attend the Storymakers Club get to experience different forms and styles of writing, as well as learning how to formulate their ideas into stories. Weekly classes in small groups help to make writing a more sociable and fun experience, while working to improve both confidence and technique. 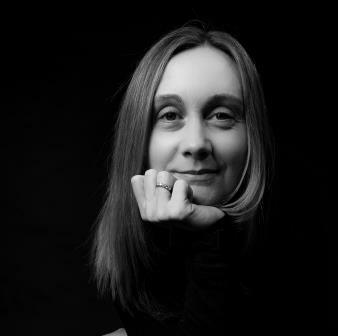 I’m Nikki Young, children’s author and creative writing tutor. I do my best to pass on my love of stories and passion for writing to young people through my weekly writing groups as well as via workshops. My books, ‘The Mystery of the Disappearing Underpants’ and ‘Time School: We Will Remember Them’ are aimed at children aged 9-12 years. I also write for young adults. If you would like to know more, please refer to the media section of my website. You can also find out about school visits by checking out this section of my Storymakers website.